It’s often said that a great deal of people fear public speaking even more than death. Not surprising, given how much pressure we feel when getting ready for a big presentation—compiling notes and slides, preparing well-timed jokes, the recurring nightmare of walking on stage completely naked. When it comes time to speak before your audience (eye contact! ), you can at least take care of that last part by suiting up in your best power suit. 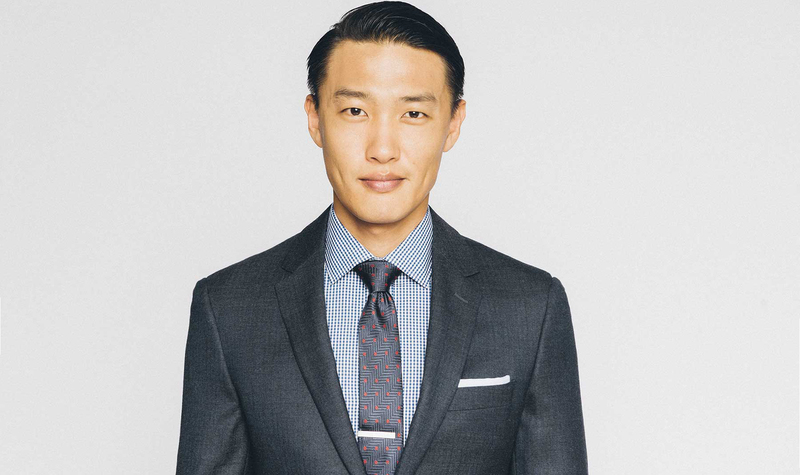 Sharp-shouldered and expertly-tailored, the power suit is meant to give you what its name suggests—authority. It’s one that you feel comfortable in so that you can forget about what you’re wearing and focus on delivering a presentation that will wow your audience. 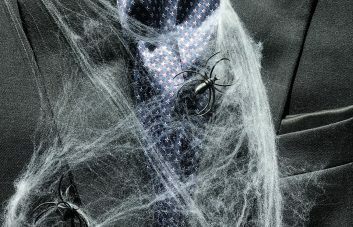 Here are a few ways to make this potentially nerve-wracking experience one that you can look forward to. This is important. 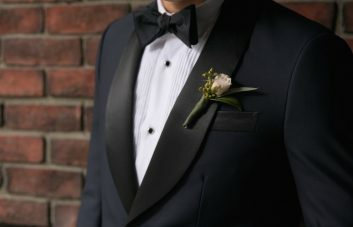 If you are the one whom everyone is watching, you want to be sure your appearance is memorable—and for the right reasons. This is going to require a little extra effort than those who are attending a conference as more passive participants and who are perhaps more likely to dress business casual. You can go classic with a navy pinstripe suit—many see this style as the most powerful—or take it a step further and try a suit with a slight sheen to it for that extra bit of wow factor. Even if you are opting for your go-to work suit, we suggest turning it up a notch with a skinny tie, printed pocket square and minimalist cufflinks, for example. Small details like these make a big difference and will help you stand out from the crowd when you are mingling with attendees or speaking onstage. It’s your time to shine if you’re a speaker and you know how important first impressions are. You want everyone in attendance to see you as a trustworthy thought leader, which is yet another reason why what you wear is so important. As soon as you stand up in front of your colleagues or walk out onto that stage, all eyes are on you. Make sure that your suit is tailored and fits you in all the right places—particularly in the shoulders—so that you look sharp and professional. If you want to do something a bit different than your regular Monday to Friday look, switch things up with a power suit in a burgundy or indigo. 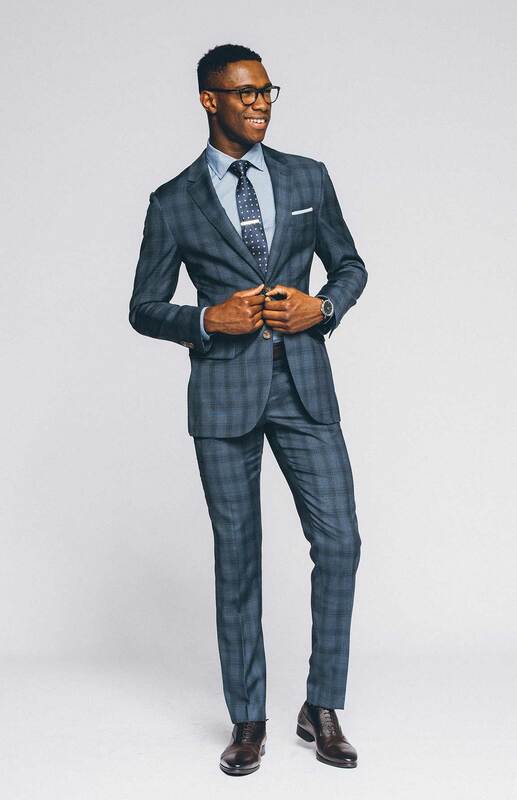 Keep in mind that when ordering a suit from Indochino, you need to allow about eight weeks to ensure your tailored suit arrives on time and that you’ve left enough time for a second fitting and any alterations, if needed. When speaking at a conference, you’re bound to be walking around and moving about the stage. Keep this in mind when selecting your power suit because you don’t want to feel physically restricted while you’re in the spotlight. Take into consideration the vents on the back of your suit jacket or blazer, and how your blazer fits in the shoulders and across the back. Pants should be fitted and not too baggy. Flat-front pants with plain cuffs will work well for most guys and will look good up on stage. Pleats can help elongate the legs if you want to look taller. 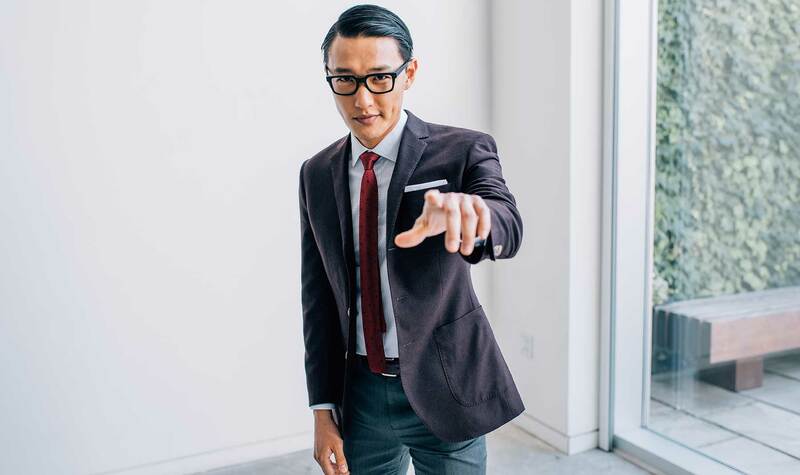 Either way, movement is key, so do a run through your presentation in your suit in advance to make sure it’s comfortable and allows you to move freely and confidently. Lastly, inquire in advance about the dress code for any special dinners or post-event activities with the conference organizers. This way, you can bring additional outfits in preparation for these events and you’ll have one less thing to worry about. Pack a couple of versatile items that can be worn in casual and business casual situations (think knit cardigans and leather brogues). If travel to the conference is required, there’s no need to fear a wrinkled suit as traveling with one has become easier than ever. 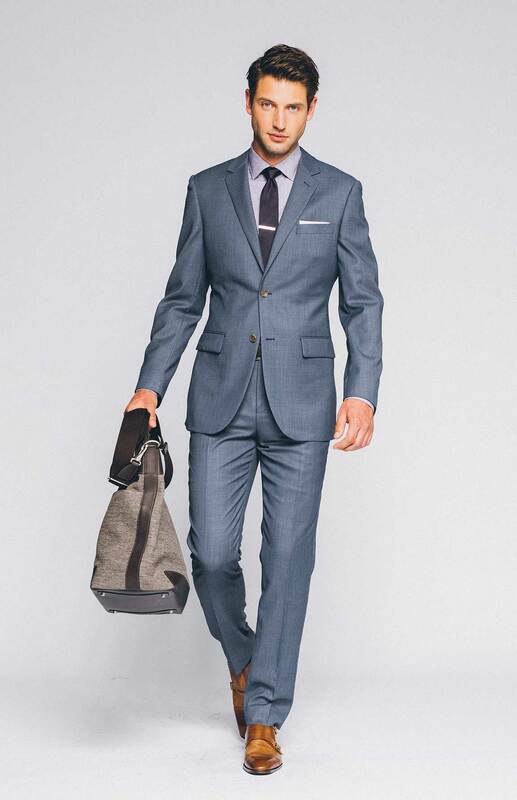 Pro tip: leave some space in your suitcase and gently pack your suit in a garment bag. Maybe you still fear public speaking, but follow these guidelines and you’ll look like the exceptional thought leader you are. A few final presentation tips: practice in front of an audience before the big day, lead with a great story, and enjoy your time in the spotlight.